Bear in mind……this lady has moderately advanced periodontal (gum) disease, and so when we were doing her treatment yesterday, we had to do a LOT, not just with the Periolase itself, but also with the ultrasonic scaler/cleaner that we use to remove all of the tough tartar build-up; to treat her whole mouth took about 2.5 hours, so she was in our office for quite some time. Fortunately, she was able to watch Dr. Phil during the procedure, which kept her pretty well distracted LOL. So what did she say when I asked her how she felt immediately afterwards and also today? Basically, she said that she took just 1 (ONLY ONE!!!!) 800mg Ibuprofen tablet yesterday “just in case,” but since then, she has had practically no pain, and only a tiny bit of soreness, and she has not had to take ANY further pain medication of any kind! That is one of the things I simply LOVE about doing LANAP — even though we are treating the gum disease very aggressively, the physical properties of the laser stimulate healing so much and soothe the body so much, that patients are always amazed at how well they feel afterwards. Seriously……think about it…….we really did laser gum surgery for 2.5 hours, and she is having ZERO pain today. She’s also excited because we will be starting her 6MonthSmiles Clear Adult Braces in just a couple weeks, too, in order to correct the spacing between her front teeth and give her a beautiful smile back. When I finally get to post the Before/After pictures in just a few months, it will be just incredible to see the difference, so stay tuned! Treating Gum Disease with a Laser – Effective, Comfortable, and No Scalpel or Stitches! 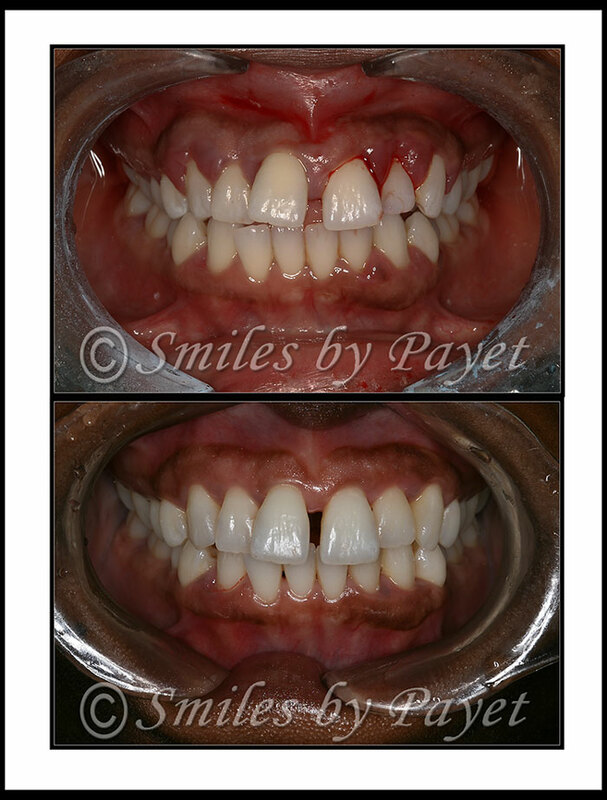 I’ve been really updating my website to reflect the exciting new technologies that we’re implementing here at Smiles by Payet Dentistry in Charlotte, NC, so I wanted to let people know about that here so they can be updated: Laser Treatment for Gum Disease in Charlotte NC. In addition, now you can visit our website devoted strictly to Periodontal (Gum) Disease Treatment with LANAP.